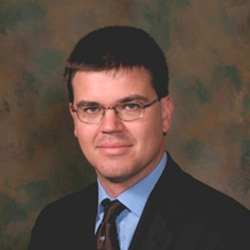 When Max Wintermark, MD, chief of neuroradiology at Stanford University and clinical adviser of the American College of Radiology (ACR) Radiology Support, Communication and Alignment Network (R-SCAN), reviewed the library of Choosing Wisely recommendations with his colleagues in 2014, he noted that several societies listed imaging tests among those that are at times used when not absolutely needed. Throughout 2014, Dr. Wintermark helped design and pioneer R-SCAN, a platform for clinicians and radiologists to collaborate on projects to improve imaging utilization based on 11 Choosing Wisely imaging recommendations. All the tools and resources to complete the project are on the R-SCAN website. At ACR 2015, The Crossroads of Radiology® annual meeting, the College unveiled R-SCAN, which is now supported through funding from the Centers for Medicare & Medicaid Services’ Transforming Clinical Practice Initiative (TCPI). R-SCAN includes a step-by-step guide with resources to help referring clinicians and radiologists through each phase of their project. The first phases of a project include selecting a Choosing Wisely topic, connecting with collaborators and registering on the R-SCAN website. For his project, Dr. Wintermark is currently working with family medicine physicians to focus on appropriate imaging for low back pain. To begin their work, the team gathered baseline data about prescribing patterns using R-SCAN’s dashboard. The dashboard allows users to enter ordering information, evaluate appropriateness using ACR Appropriateness Criteria and clinical decision support tools, and create a report. Then, participants can design an appropriate educational program using R-SCAN’s library of suggested options and resources available on the R-SCAN website. The resources—which include Choosing Wisely materials—are contributed by medical societies and R-SCAN participants. As part of their educational program, Dr. Wintermark’s team posted Choosing Wisely flyers in clinics to explain that imaging does not always help with low back pain and that a scan is not usually recommended as a first step. Now in the post-education stage of the project, the team is evaluating prescribing patterns to compare them to baseline data using the R-SCAN dashboard. Dr. Wintermark’s team’s project is still ongoing, but it has already inspired a side project to add an explanation of “normal range” to spine scan reports to help patients better interpret findings and decrease unneeded worry about routine results. More than 200 clinicians are participating in R-SCAN and the goal is to expand to thousands during the next few years. In addition to advancing patient care, participation can prepare physicians to comply with future Medicare programs and provide access to lifelong-learning opportunities. To register, visit rscan.org.